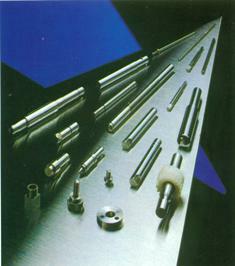 Generally speaking, it is far more difficult to machine Stainless steels than ordinary steels. This is especially so with austenitic stainless containing nickel and chromium. Our free-cutting wires are made of special grades of Stainless steel which have improved machinability and yet retain high resistance to corrosion. For specific work requirements, our free-cutting wire of Stainless steel must be selected taking such factors into Consideration as fatigue, usage, strength, corrosion resistance, Impact resistance etc. Sulfur (S) is added by about 0.15 to .035% to Improve machinability. Compound free-cutting wire steel excelling particularly in machinability with improved corrosion resistance. Incl. 1.60 – 5.00 Incl.